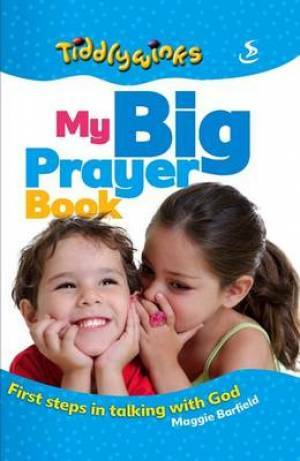 "My Big Prayer Book" is a book of prayers for under-5s. It is full of age-appropriate prayers about situations that under-5s experience and understand, about concepts of God that are within their comprehension and using language that they themselves will use day by day. My Big Prayer Book by Maggie Barfield was published by Scripture Union in March 2010 and is our 846th best seller. The ISBN for My Big Prayer Book is 9781844275304. Be the first to review My Big Prayer Book! Got a question? No problem! Just click here to ask us about My Big Prayer Book.